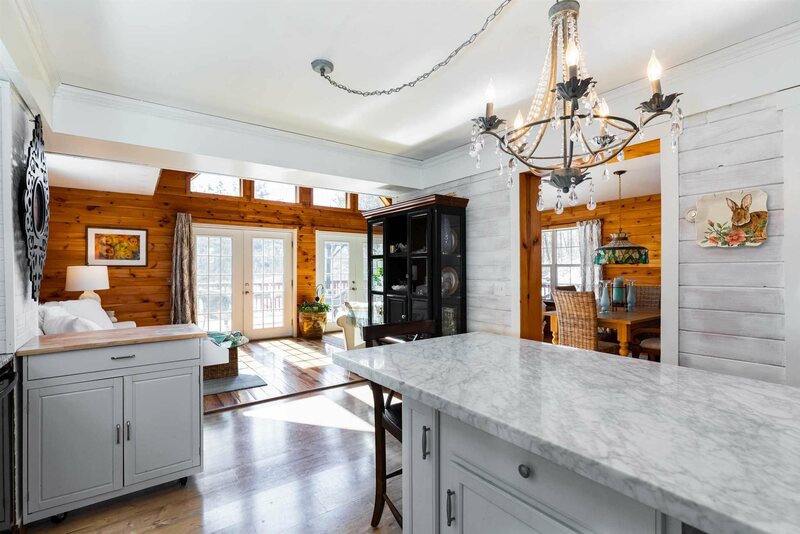 This quintessential country home on 4+ bucolic acres is absolutely perfect for weekend getaways or for those seeking privacy and year round peace and quiet. The bright open floor plan is very comfortable and offers an abundance of natural light. The kitchen opens to a wall of French Doors leading to a wraparound deck, a glorious place to sit, breathe in the country air, and watch the flora and fauna. Special in any season each room offers something lovely. Summer is right around the corner. Just imagine enjoying an afternoon splashing in the in ground pool or lounging on the patio and then a delightful dinner al fresco. Gardening enthusiasts will love the opportunity to expand with this magnificent setting. Spacious home shows attention to detail - beautiful hardwood floors, and in excellent condition. There has only been one owner and they have lovingly cared for this peaceable kingdom. Located just 90 min to NYC, minutes to Route 9G, Route 9, Village of Rhinebeck shops, restaurants, and the Upstate Films Theatre. Dinsmore State Golf Course and Country Club near end of Mills Cross, Norrie Marina if you are into sailing, boating or kayaking. Simply put, this is a beautiful tranquil private retreat.